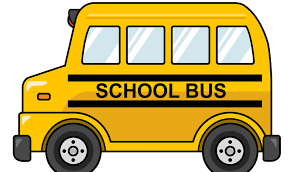 Due to a shortage of drivers and needing to accommodate spring sports, the After-School Program will need to change the nights there is a late bus. Starting on April 29th transportation will be provided on Mondays and Wednesdays (not Tuesday/Thursday) leaving at approximately 4:15. Congratulations and a job well done to Nathan Kimball, who represented CHS and RSU 24 at the State Bee last Friday at UMF. Waltham Bus Riders - Morning Run to start 5 minutes earlier! Joe will start his morning run five minutes earlier beginning April 2nd. Cave Hill School kindergarten registration takes place on April 29th. Please call the office for more information and to set up an appointment. The former Cave Hill and current high schoolers take on the Ladies Hot Shots at 6 PM on April 1st! The Cave Hill "high school" kids will take on the "old guys" on Thursday, March 28th at 6 PM. Admission is by donation and will go towards grad gifts and Josie Hardison's Skills Trip to Kentucky!